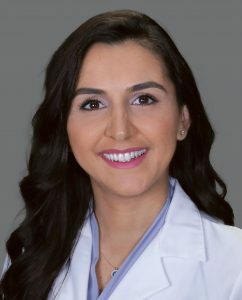 MIAMI, FL – January 14, 2019 — Internal medicine physician Stella Kocovic Villacorta, D.O., has joined Baptist Health Medical Group, a network of primary care doctors and specialists who provide high-quality medical care to patients of all ages, as part of Baptist Health Primary Care. Dr. Kocovic Villacorta specializes in the diagnosis, treatment and compassionate care of adults across the spectrum — from health to complex illness. She has special training and interest in women’s health and preventive medicine that reduces the risk of disease and disability. Dr. Kocovic Villacorta will see patients at 709 Alton Road, Suite 440, in Miami Beach, located inside Baptist Health’s new South Beach urgent care, diagnostic and outpatient center. The four-story, 60,000-square-foot wellness and medical complex opened in July and brings primary care, urgent care, diagnostic imaging, endoscopy, physical therapy and other services to the southern part of Miami Beach. Dr. Kocovic Villacorta earned her Doctor of Osteopathic Medicine degree at Nova Southeastern University in Fort Lauderdale. She completed an internal medicine residency at Broward Health Medical Center in Fort Lauderdale, where she served as a resident mentor. She conducts clinical research with the goal of improving patient care outcomes, and she has presented her case results at numerous scientific symposiums. Dr. Villacorta is a member of several professional societies, including the American College of Physicians and the American College of Osteopathic Internists. She speaks three languages — English, Spanish and Serbo-Croatian.